Chhakka Panja is a 2016 Nepalese dark comedy drama film directed and produced by Deepa Shree Niraula. The film is Niraula's directorial debut and features Priyanka Karki, Deepak Raj Giri, Jeetu Nepal, Kedar Ghimire, Buddhi Tamang, Shivahari Poudel, Barsha Raut and Namrata Sapkota .The film received highly positive reviews for its screenplay and story, performances, humor and its social setting. However, due to piracy problems, the movie was released on YouTube. Due to the piracy, the international screening of the movie was highly affected. The film was “ All Time Blockbuster “ and is the highest grossing Nepali film of all time. The film had two sequels :- Chakka Panja 2 and Chakka Panja 3, both of which were commercial blockbusters. Thus, it is the highest grossing Nepali movie franchise.A Mero Hajur 3 English: Oh My Dear 3) is a upcoming Nepalese comedy romance film, directed by Jharana Thapa (her second film as director) and produced by Sunil Kumar Thapa, under banner of Suhana Entertainment and Sunil Kumar Thapa Production. The film stars Anmol K.C. 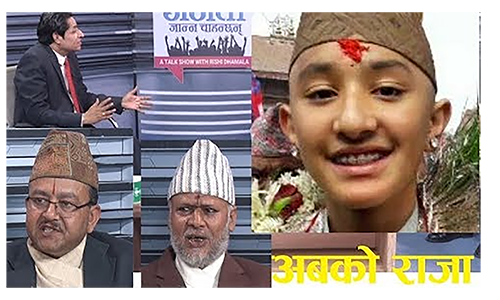 and Suhana Thapa in the roles alongside Salon Basnet, Arpan Thapa and Rabindra Jha.